XCIII purpose of electing officers for the ensuing year, and will review the work of the past year. Each member was instructed to inform some absent member of the date of the next session; also to try and induce some lady to join the club at that time. Meeting adjourned amidst much enthusiasm. Anna Mahara, Sec'y. 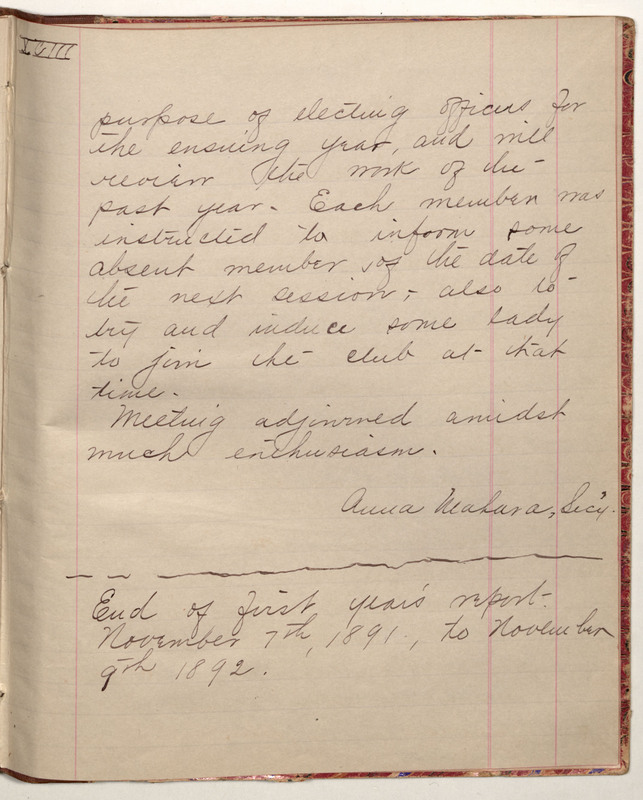 End of first year's report November 7th, 1891, to November 9th 1892.